Seiyuu (voice actors) are traditionally actors who perform the voices of animated characters (or foreign movies) or do various narration. They usually don't appear on the screen as themselves, and are only known for their voices. However, because of the seiyuu booms of the 1990's, many of the younger seiyuu have released videos of their acting, concerts, and such. Recently [mid 2000's] the first pressings of many seiyuu maxi-singles come with a DVD containing the promo video (PV) of the song. This PV usually features the seiyuu. 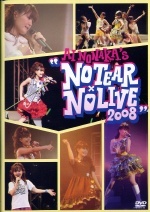 Also some of the DVD releases of anime come with seiyuu interview or talk video clips. Details of some of the videos (and recently DVDs) can be seen below. The DVD/Video database (a very large text file) is also available.